Recently, The National Save The Sea Turtle Foundation and the Gumbo Limbo Nature Center in Boca Raton joined forces to release three small sea turtles that had been part of Gumbo Limbo’s sea turtle rehabilitation program. All three turtles, one green and two hawksbills, had been found stranded and debilitated by the unfortunately all-too-common problem of the ingestion of marine debris, in these cases plastics and fishing hooks. 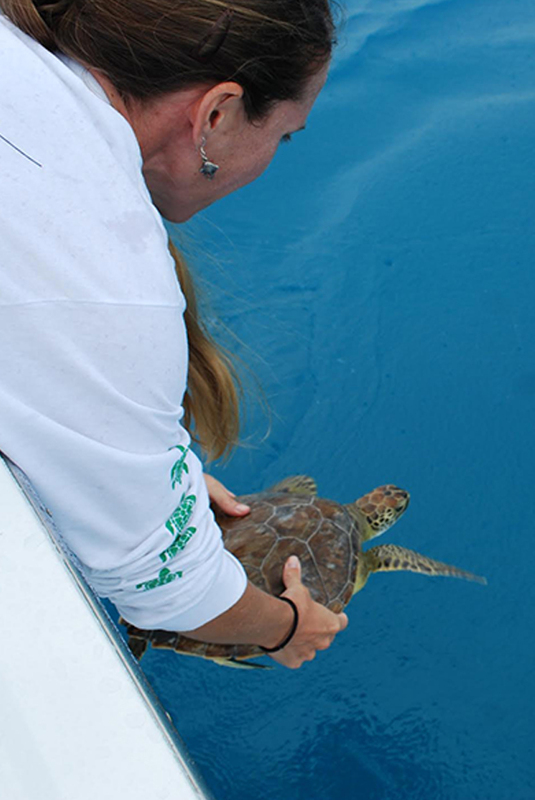 Luckily, all three turtles recovered, and needed a ride back to their offshore home. 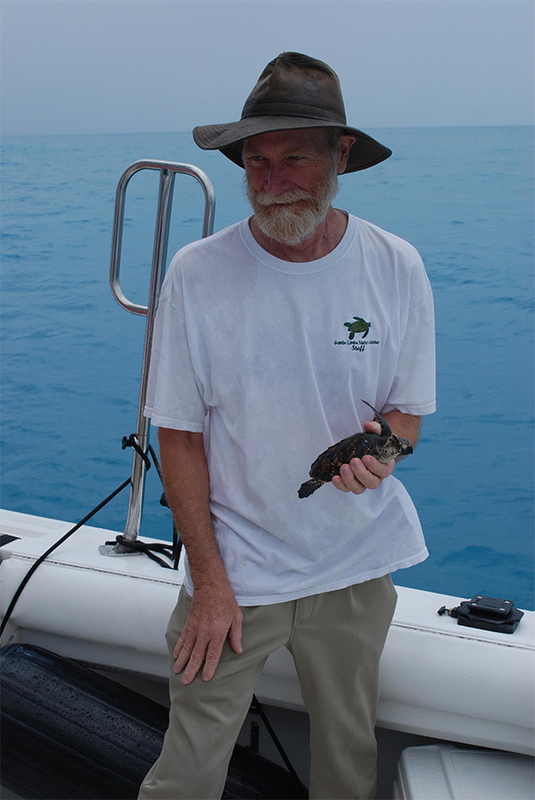 Enter the RV Hawksbill, the National Save The Sea Turtle Foundation’s research vessel which is located in Key West, the perfect place from which to head offshore to release these small sea turtles. 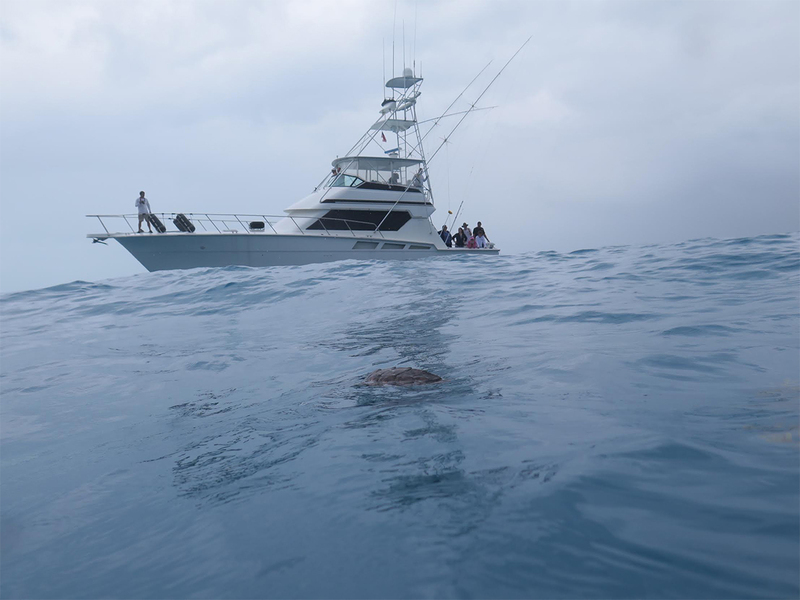 Though the day was a bit overcast and rainy, the team came together to make the final preparations and seek the most appropriate release locations for each turtle. Due to their small size, the two hawksbills were best placed near floating mats of sargassum seaweed in deep water which provide shelter and plenty of food sources. The green turtle, being slightly larger, was released in a seagrass pasture a little closer to shore, where we coincidentally observed several other green turtles surfacing for air. 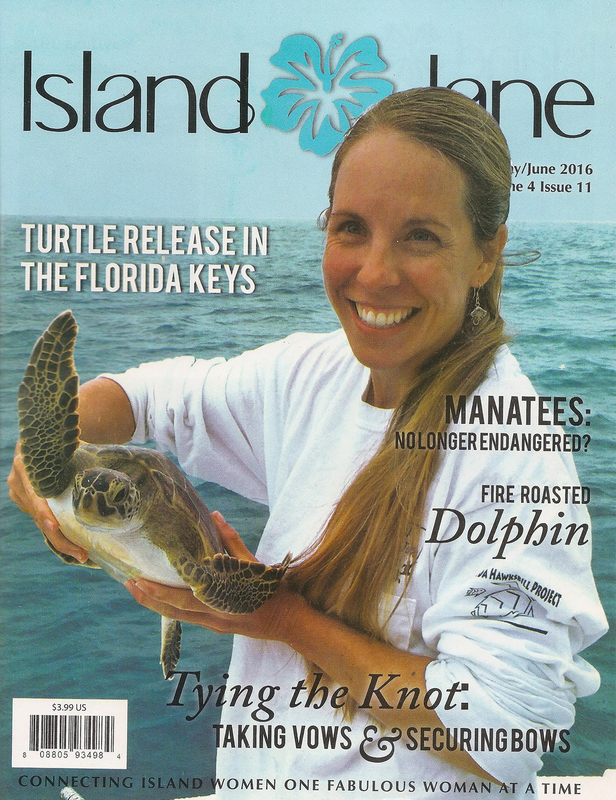 Though we can never guarantee the survival of these turtles, they got a second chance thanks to the dedicated staff at Gumbo Limbo. 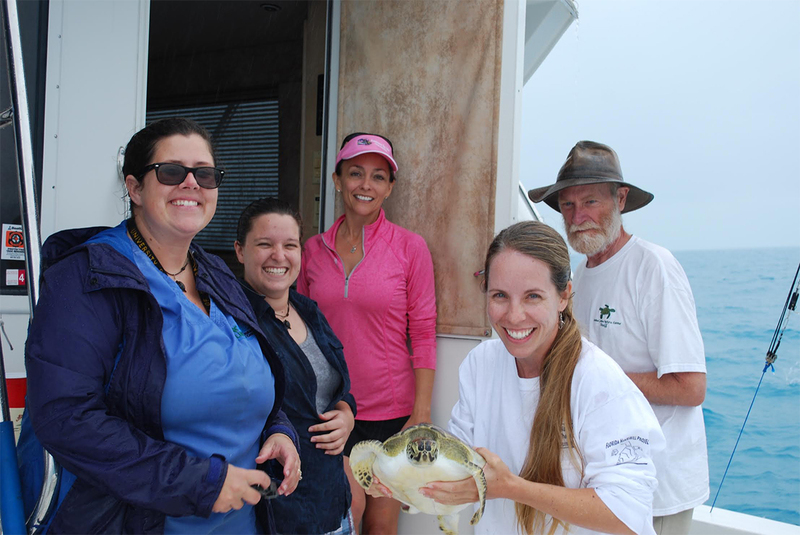 Left to right: Gumbo Limbo’s Whitney Crowder and Caitlyn Bovery, who has been a recipient of the National Save The Sea Turtle Foundation’s Graduate Scholarship Program, Island Jane Magazine’s Dianne Scott, and Gumbo Limbo’s Cole Reintsma and Kirt Rusenko enjoy a day of turtle releases near Key West aboard the National Save The Sea Turtle Foundation’s research vessel Hawksbill.